1 Mr. NEERAJ KUMAR SHARMA PRINCIPAL Confirmed M. Sc. (Chem., CSE) B.Ed. 7 Mr. JITENDRA RATTEWAL TGT-Phy. Edu. Confirmed B.PEd. 8 Mr. ANIL BEDI PRT-Punjabi Confirmed M.A. (Punjabi), B.Ed. 9 Mrs. BALBIR KAUR PRT-Punjabi Confirmed B.A.,B.Ed. 10 Mrs.KULWINDER KAUR PRT-S.St. Confirmed B.A.,B.Ed. 14 Mr. SHANKAR SINGH PRT-Maths Confirmed M. Sc. (Maths), B.Ed. 17 Mrs. PUSHPA SETHI PRT Confirmed B.A., N.T.T. ,B.Ed. 20 Mr. PAWAN KUMAR PRT Probation M.A(Sanskrit), B.Ed. 29 Mrs. SUNITA NARYAL PRT-Science Contractual B. Sc. M.A (Eng.) B.Ed. 30 Mrs. VEERPAL KAUR PRT Contractual B.A, M.A(History), N.T.T, B.Ed. 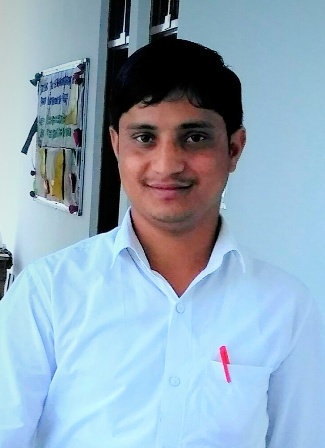 33 Mr. SANDEEP KUMAR TGT-ENGLISH Contractual MA(Eng. ), B.Ed. 36 Ms. KALPANA CHAUHAN TGT-HINDI Contractual M.A (Hindi, Pol. Sci. ), B.Ed. 39 Mrs. AARTI PRT Contractual B.A, B.Ed. 43 Mrs. RUPINDER KAUR PRT Contractual B.A, B.Ed. 45 Mrs. NAVEEN PRT Contratual BCA, MCA, B.Ed. 46 Mrs. RENU SHARMA PRT Contractual MA(Hindi, Hist. ), B.Ed. 47 Ms. RUPINDER KAUR PRT-English Contractual MA (Eng. ), B.Ed. 48 Mrs. MONIKA PRT Contractual MA(IT), B.Ed. 50 Mrs. DEEPTI SHARMA PRT Contractual MA, B.Ed. 55 Ms. MANI PRT Contractual M.Com, B.Ed. 57 Mrs. SUMAN RANI PRT Contractual B.A, B.Ed. 60 Ms. MANJU RANI PRT-Phy. Edu. Contractual BP. Ed., MP. Ed.